We are open daily from 9:00a.m. to 6:00p.m., Sunday from 10:00a.m to 6:00p.m. Call us at 858-605-1497 or email [email protected]. For after hours emergencies, call 858-605-1497. The homes are typically not stocked with baggies, foil, etc. The starter kits provided are complimentary and are meant to cover your needs before you get to the store to do your shopping. See the property listing for a full list of amenities. The property listing will have a detailed list of amenities provided in each home. If you need extras like bikes, beach equipment, pack n plays, high chairs, etc., Bluewater has discounts with local providers that can deliver to your home, Please ask one of our friendly staff for details or click here to see a list of local vendors. 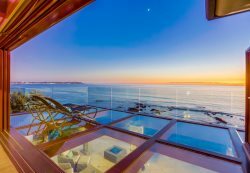 Because of typically cooler ocean breezes, many coastal-area beach houses in San Diego are not equipped with air conditioning. However, if air conditioning is important to you, please check the listing or contact guest services to verify. Box fans are provided when necessary. There are no refunds for failures of A/C units or lack thereof. Each property listing includes parking details. Make sure your vehicle will fit in the designated spots. Unless otherwise indicated, car-pooling is recommended as many of our homes are in high-density beach neighborhoods with narrow streets and limited parking. Can I have a gathering or event at my vacation rental? No. Most all of our homes are located in neighborhoods with many full-time residents which are ill-suited for events and large gatherings. You may have up to 4 additional daytime guests. We do have some homes that are more isolated, so please contact us if you are interested in learning more. While your vacation rental is thoroughly cleaned and prepared for your arrival, should you require a mid-stay or daily housekeeping service, it is available for an additional fee depending on the services you require. Please call or email [email protected] for more details. Bluewater’s helpful Guest Service Agents are here to assist you in making the most of your stay. We can help with booking restaurant reservations, in-home massages and spa treatments, a personal chef to cook meals, pre-arrival grocery delivery services, child care, daily housekeeping service, tours, beach picnics, limousine service and much, much more. To see a list of popular services and things to do Click Here. We also have partnerships with local San Diego business that offer discounts to Bluewater guests. The rental rates are based on a set number of occupants and extra occupants equal greater wear and tear to the home and systems. As a general rule, you may have up to four additional guests, however, they must depart no later than 10:00 p.m. Please note that our rental agreement includes a zero tolerance policy against excessive noise and parties are absolutely prohibited. Please let us know if you have any questions or concerns prior to booking as violations will result in fines and immediate eviction. What about check-in and check out? Approximately two weeks prior to your arrival date, you will receive an email with directions and check-in information. Check in is at 4:00p.m. and Check-out is at 10:00a.m. Once you arrive in the area, please call the office to verify check-in and that your home is ready. Guests will be required to show identification and the credit card used at booking before being able to check in. We are unable to grant early arrivals until the day of arrival and early arrivals are not available in peak season or if another guest is departing that morning. Inspections, cleaning and maintenance are pre-scheduled, so adhering to these times is very important. Many of our vacation rental homes do not allow pets due to allergy concerns. Rentals that do allow pets usually limit them to two (2) housebroken domestic animals (dogs) unless otherwise stated. A $100 minimum, nonrefundable fee is charged for each pet. Any pets must be approved prior to occupancy. A pet of any kind on the premises of a non-pet property is absolutely prohibited and is grounds for immediate eviction of the entire party. Please contact guest services if you have more questions. All balances are due no later than 60 days prior to arrival. If you wish to change your method of payment, please notify us at least 3 business days prior to your payment date. All payments must be received from the same person that made the reservation. Can I have more than one person pay for the reservation? Because the reservation-maker is the on who agrees to the financial obligation and rental terms and conditions, that person is the only one who we can accept payment from. The I.D. and credit card used at booking must be presented at check in. These taxes help sure make that San Diego’s beaches, parks and public areas are clean and well kept. Bluewater complies with all taxes, fees, business taxes, insurance and licenses to ensure your rental will be in compliance and available when you arrive. All cancellations must be in writing with a confirmation reply by Bluewater. These policies are subject to change so be sure to contact us if you discover you may need to cancel. 90 days prior to the check-in date: 75% of the rental amount is refunded. Less than 90 days prior to the check-in date: 50% of the rental amount is refunded. Less than 60 days prior to the check- in date, there are no refunds unless we are able to rent the home to another guest for the same period and amount. In that case, we refund the entire rent, less a 10% service fee to cover time and merchant fee charges we are assessed. There are no refunds for early departures, delayed arrivals, inclement weather, construction or reduction in the number of nights reserved for any reason. We highly recommend that guests purchase Trip cancellation insurance which is available up until the last payment is made on the reservation. Utilities in San Diego are among the highest in the nation. Pools are not used by every guest, and it so expensive to keep them heated that fees are not included in the rent. You may pay additional for heating if you let us know at least one week prior to your arrival. however in most homes spa heating is included. Is the hot tub heated? Yes, if your home is so equipped, hot tub heating is included. Will my vacation rental have internet access? Yes, WiFi is a standard amenity in all Bluewater Vacation Homes. Yes, all of our vacation rentals have an in home laundry or laundry on the nearby premises. Will my vacation rental have a BBQ? Yes, a gas BBQ and complimentary propane is provided in all Bluewater Vacation Homes. Lost and Found - What if I left any items behind after check out? Please contact us as soon as possible by calling 858-605-1497 or email [email protected] There are many vendors and others that enter the home shortly after check-out. We cannot be held liable if an item is not found. Do to space constraints we cannot keep items longer than 14 days after departure. If you need to receive a mail or a package during your stay in one of our vacation rentals, please have it sent to our office (not the home address) and notify us in advance.